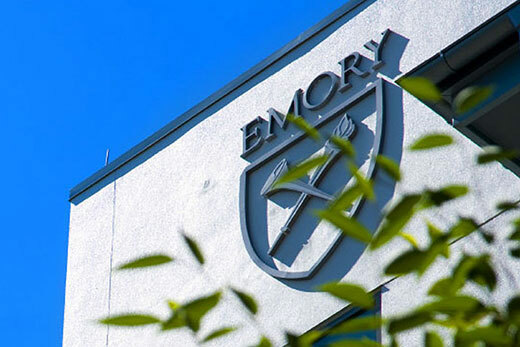 Emory University has joined 30 other universities around the country in filing a new amicus brief opposing President Donald Trump's second executive order restricting immigration that was issued on March 6. The brief was filed April 20 in the United States Court of Appeals for the Ninth Circuit in the case of State of Hawai'i, et al., v. Donald J. Trump, et al. The same universities also filed an amicus brief March 31 in the United States Court of Appeals for the Fourth Circuit of Maryland, also challenging Trump's second executive order on immigration. Emory previously joined 16 other research universities in filing an amicus brief opposing the president’s first executive order restricting immigration. The first brief, filed Feb. 13, was filed in the United States District Court for the Eastern District of New York. In the April 20 brief, the universities argue that the executive order harms students, faculty, scholars and the universities themselves. Each of the universities that joined in the brief "has a global mission and benefits from the contributions of diverse students, faculty, staff and scholars from around the world," the brief notes. "Because [they] seek to educate future world leaders, attract the world’s best scholars, faculty and students, and work across international borders, they rely on their ability to welcome international students, faculty and scholars into their communities." Restricting immigration hampers those goals, the universities argue. "Even though the executive order is currently limited to six countries, American universities are already feeling its damaging effects. The order threatens [the universities'] ability to attract the best students, faculty, staff and scholars from around the world, and thus directly affects [their] ability to pursue their missions," the brief states. The universities "take extremely seriously the safety and security of their campuses and the nation: if [their] campuses were not safe, or the towns and cities in which they are located were not secure, [they] could not maintain their world-renowned learning environments," it says. The schools believe, however, "that safety and security concerns can be addressed in a manner that is consistent with the values America has always stood for, including the free flow of ideas across borders and the welcoming of immigrants to our universities," the brief concludes. In addition to Emory, signers include Boston University, Brandeis University, Brown University, Bucknell University, Carnegie Mellon University, Case Western Reserve University, Columbia University, Cornell University, Dartmouth College, Duke University, George Washington University, Georgetown University, Harvard University, Johns Hopkins University, Massachusetts Institute of Technology, Middlebury College, Northeastern University, Northwestern University, Princeton University, Rice University, Stanford University, Tufts University, University of Chicago, University of Michigan, University of Pennsylvania, University of Southern California, Vanderbilt University, Washington University, Worcester Polytechnic Institute, and Yale University. Back in February, Emory President Claire E. Sterk and 47 other American college and university presidents sent a letter to Trump urging him to "rectify or rescind” his initial executive order on immigration. "Throughout its history, America has been a land of opportunity and a beacon of freedom in the world," the letter stated. "It has attracted talented people to our shores and inspired people around the globe. This executive order is dimming the lamp of liberty and staining the country’s reputation."